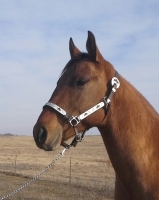 Champion is a 2yr old Quarter Horse Stallion. He is Dun in color and has zebra stripes. Champion is 15hh, and still growing. He is currently in the process of being broke to ride. I will stand him at stud once he proves himself. 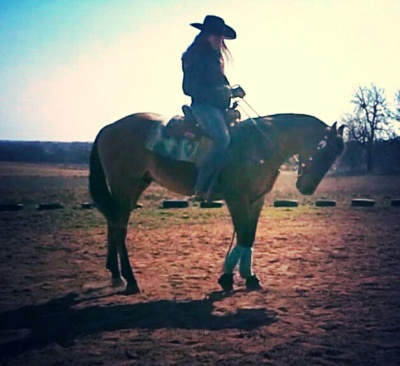 I decided I wanted to buy a stud colt and use him as my upcoming barrel horse. I prayed and asked God if He would help me find the right one. 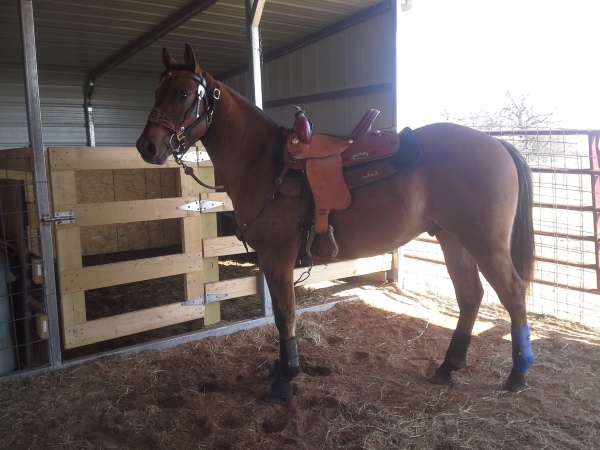 I ran across an ad for a little sorrel colt and saved the number hoping the seller would have another that was older and had the characteristics I was looking for. I searched for horses and never found one I really liked, until one day I saw the ad for this little dun colt. I contacted the seller and realized it was the one that had the sorrel colt months before. Vikki was so patient with me as I worked out a time I could come look at him...sadly three days after we had been texting she told me he got hurt. She informed me that he would still be sound but needed doctoring...Long story short I ended up buying Champion and Lauran bought Promise!!! 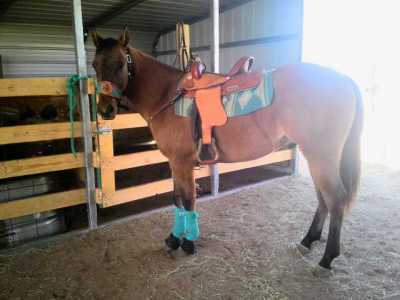 Chyampion has been under saddle for a few weeks now. He is coming along beautifully. I have his videos on my Youtube Channel.